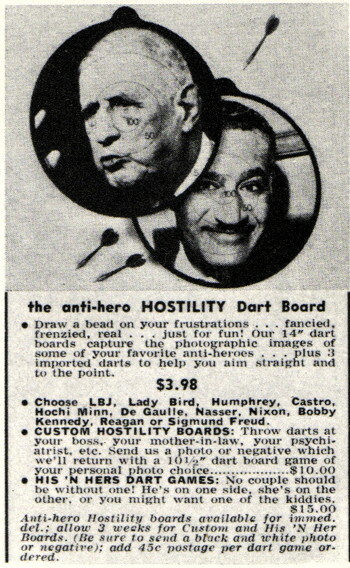 In 1967, artist Robert Cenedella came out with the "Anti-Hero Hostility Dart Board," featuring "photographic images of some of your favorite anti-heroes." 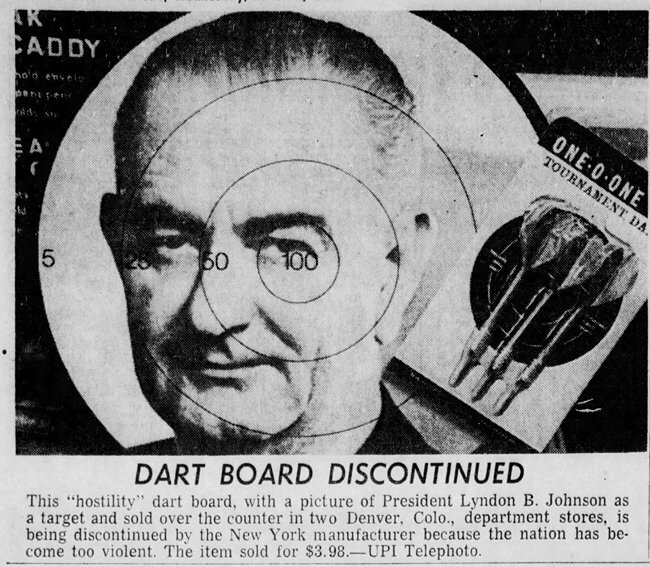 Consumers could choose between an "LBJ, Lady Bird, Humphrey, Castro, Hochi Minn, De Gaulle, Nasser, Nixon, Bobby Kennedy, Reagan, or Sigmund Freud" dart board. In a later interview, Cenedella said that, "For a few dollars extra, you could put a relative or an ex-wife there." He added, "I had more success in doing these gimmicks than I did at my art." The following year, Cenedella discontinued the dart boards, citing his concern that the nation had become too violent. 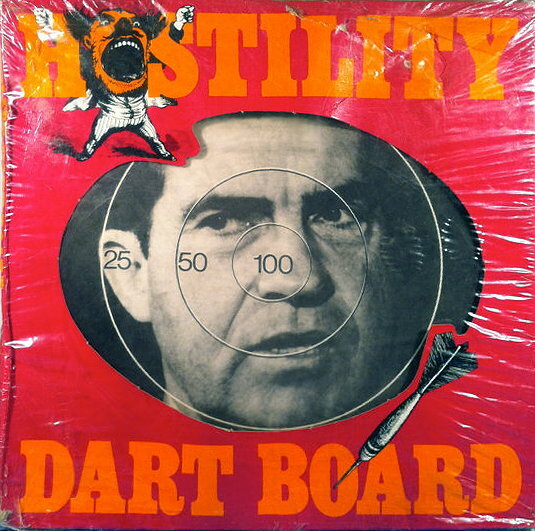 As far as I know, Cenedella's Hostility Dart Board was the first commercially sold, political-themed dart board. But nowadays they're fairly common. Zazzle.com, for instance, has a bunch of them. 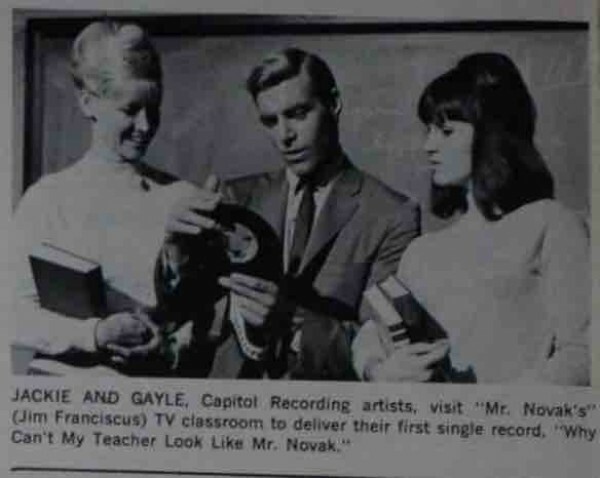 Why Can’t My Teacher Look Like Mr. Novak? 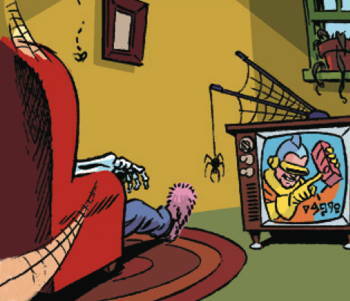 I like the bits of "Monster Mash" stuff that are gratuitously inserted. Of course, students lusting after teachers is now the stuff of prison sentences. Understand the central reference here. Marshall George Cummings, Jr. of Oklahoma was charged with snatching a purse from a woman on October 14, 1976. His case came to trial in January 1977, and Cummings asked to represent himself, which the court allowed. 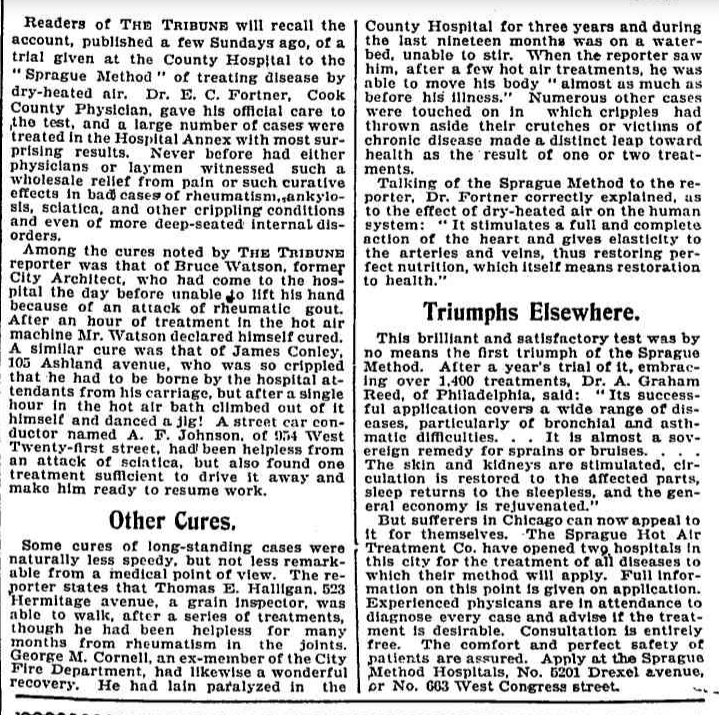 However, during the cross-examination of witnesses, Cummings proceeded to make what the state later described as an "unfortunate error." He conducted the cross-examination in the first person. Specifically, he asked the main witness, "Did you get a good look at my face when I took your purse?" The jury found him guilty, and he was sentenced to ten years in prison. Cummings later appealed his sentence, arguing that the court had erred by allowing him to represent himself and that "there was not a knowing and intelligent waiver of the right to counsel." As proof of this he pointed to his blunders during the trial. The state argued back that his incompetence could not have been foreseen in advance, and that he had been fully advised of his rights. Cummings also complained that the prosecutor had used prejudicial "showboating" tactics during the trial. For instance, Cummings alleged that at one point the prosecutor had removed a document from his file "in a manner reminiscent of a musketeer unsheathing his sword to do battle with enemies of the king." The appellate court decided that the errors cited by Cummings weren't sufficient to reverse his conviction. However, it did modify his sentence, reducing it from ten years to five. You can read the full text of the appellate court's decision at Justia.com. 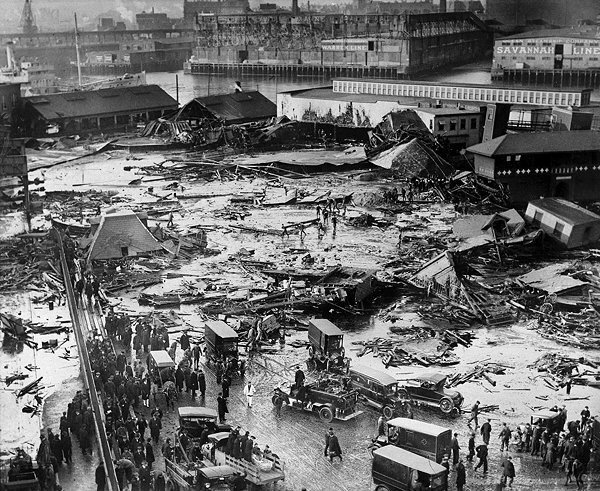 The Boston Molasses Flood of 1919 is one of the great weird news stories of all time. It was a tragedy (21 people killed), but also definitely weird. What happened in brief: A tank holding 2.3 million gallons of molasses burst, causing a 40-foot tsunami of molasses to flood through Boston's North End. "The historical record says that the initial wave of molasses moved at 35 miles per hour," Ms. Sharp said, "which sounds outrageously fast." "At the time people thought there must have been an explosion in the tank, initially, to cause the molasses to move that fast," she added. But after the team ran the experiments, she said, it discovered that the molasses could, indeed, move at that speed. 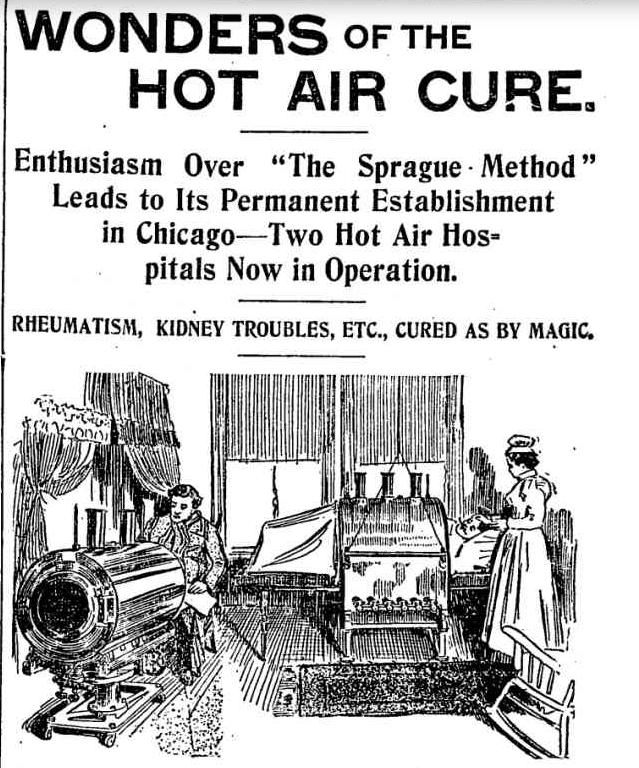 "It's an interesting result," Ms. Sharp said, "and it's something that wasn't possible back then. Nobody had worked out those actual equations until decades after the accident." If the tank had burst in warmer weather, it would have "flowed farther, but also thinner," Mr. Rubinstein said. In the winter, however, after the initial burst — which lasted between 30 seconds and a few minutes, Ms. Sharp said — the cooler temperature of the outside air raised the viscosity of the molasses, essentially trapping people who had not been able to escape the wave. Maybe some Canadian WU-vie can explain the subtext of this ad. 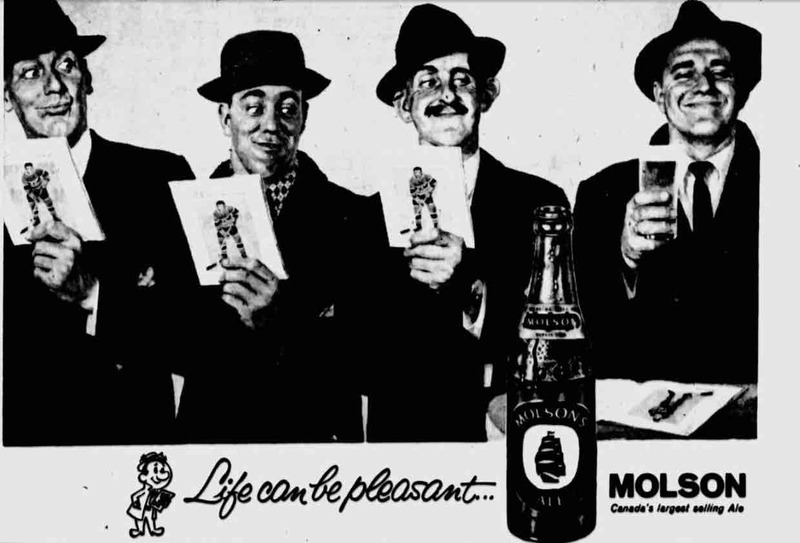 Three men hold up photos of hockey players while looking benignly but perhaps jealously at the fourth fellow who is smart enough to have a beer in his hand instead, with his own hockey photo (program book?) resting on a tabletop. Copyright 2016 by Chuck Shepherd. All rights reserved. Thanks This Week to Jim Doughtie and Gary Krupa and to the News of the Weird Board of Editorial Advisors. 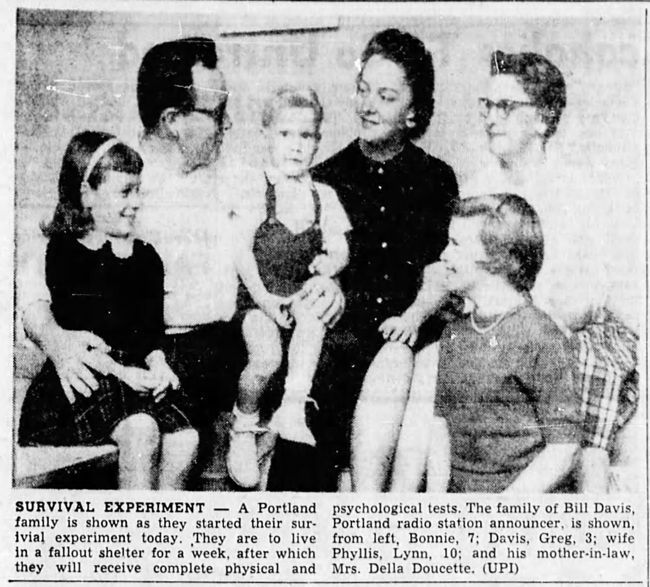 November 1961: As an experiment in survival, Portland radio announcer Bill Davis spent a week confined in a windowless fallout shelter with his family... and his mother-in-law. They survived, although Davis's wife admitted, "There were problems." 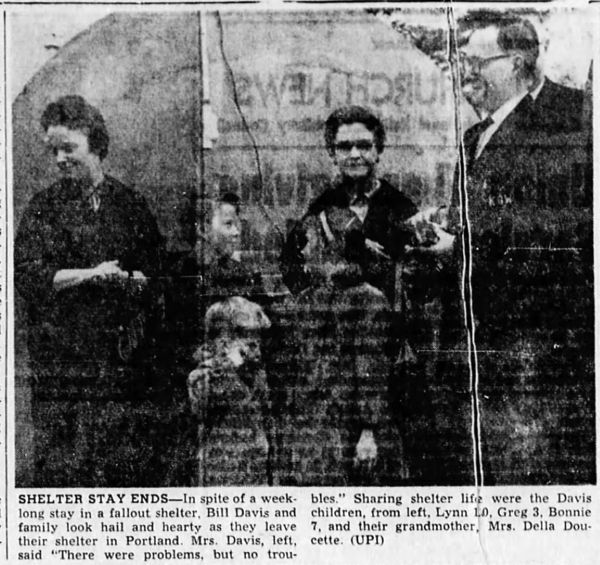 One of the problems was that four days into the test an earthquake struck Portland, and the Davis family, cut off from communication, thought it was a nuclear attack. 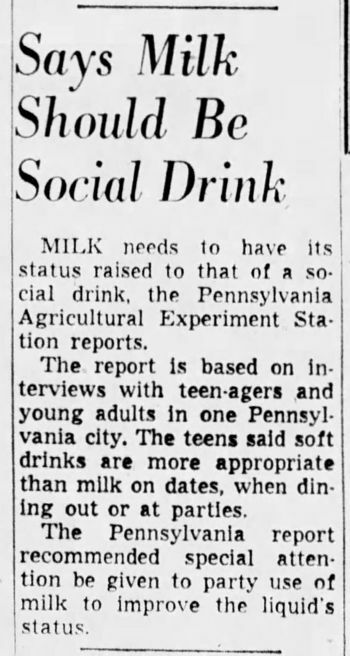 1960: The dairy industry, noting that coffee, tea, beer, liquor, and soft drinks are traditionally served at parties but milk isn't, started plotting ways to make milk a "social drink." If you add alcohol to milk it could be considered a social drink. Otherwise, I'd say their campaign fizzled.